right before christmas, my brother had his car stolen. in it was his laptop and on it was all of his saved banking information, security information, and all pertinent facts regarding his life. over the past month, he has had to fight with countless banks, credit cards, passport offices and a bounty of other establishments in order to get his life back to normal and to get his identity back. he has been working exhaustedly for weeks now but the psychological effects of something like this taking place are taking its toll. with a husband in law enforcement, my eyes have been opened to hidden dangers over the last 15 years. we sit at certain tables in restaurants so that we have a clear view of the door and the rest of the establishment. i notice exits everywhere we go. everything is password and security protected. we are, in two words, extremely careful. when i first started dating my husband, i was surprised that one of his night time adventures out with his job involved picking up bags of trash on garbage day. once garbage is put on the curb, it is no longer your property and can be confiscated by whomever decides to pass by, including law enforcement personnel who are looking for evidence. the same fact applies to anyone else wanting to find easy information on you or your family. in one bag of trash, someone can find my phone bill with my cell phone numbers clearly and easily readable, papers with my children's names on them including their approximate ages, insurance forms with some medical history, the list is really endless. when i think of the information someone could gather just from going through my trash, i am quickly sobered. a new year is a great time to stop and evaluate some of the not-so-safe practices of the past and improve them for the future. here are some simple things you can do to keep your family safe. this may be a hassle on your computer or your phone and, in reality, if someone is smart enough they can get around your passwords. still, having those safeguards in place may be just enough of a deterrent to discourage someone from taking your things. 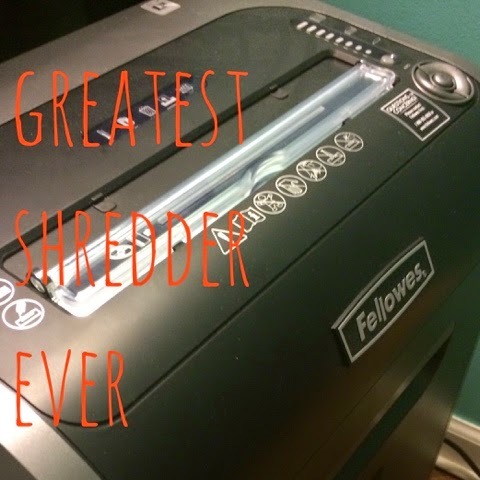 we recently were given a new amazing shredder from the lovely people at fellows. i love many things about it. first, i won't purchase a shredder unless it cuts in a crisscross shedding pattern which makes reconstructing what i have shredded virtually impossible. it has fantastic safety features. my absolutely favorite feature is the sensor which detects fingers that are near the entrance of the shredder the sensor or "safe sense" stops the shredding process and then if the fingers are not moved, shuts the machine off. 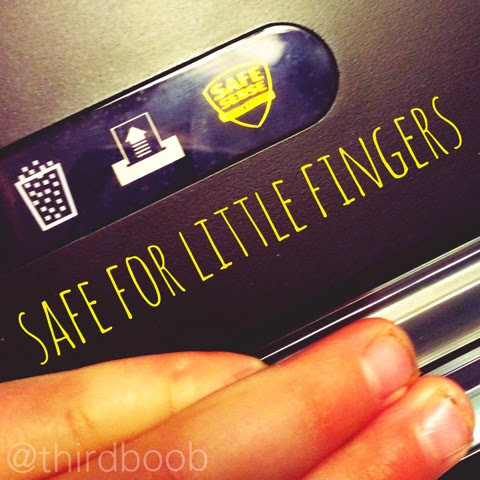 it is such peace of mind knowing that the many little hands in my house cannot be damaged by a shredder. i am very careful of my little people but i cannot be everywhere at once and this shredder keeps an eye on my little people's hands when i cannot. the shredder is also powerful. it has the ability to shred a large number of papers at once making my shredding job less time consuming. i don't know about you but i'm less likely to do any job that takes me a long time. it also has a sensor that tells you how many sheets you have and what the limit is. if there are too many papers that you are trying to shred at once, it will stop and not let you proceed. 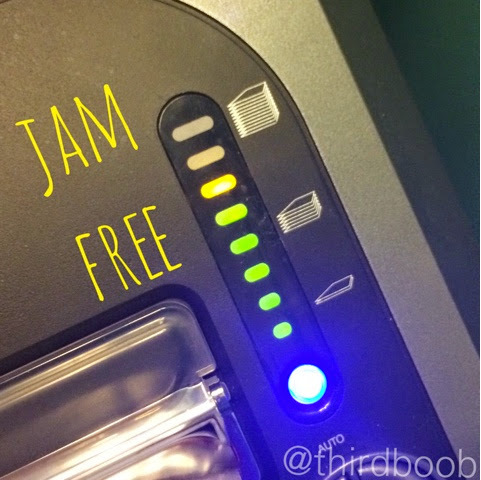 that feature makes this shredder virtually jam-proof. it is the only shredder i will ever need. i have come to understand the importance of shredding everything...every credit card invitation, every bill, everything with my personal information attached. i don't know what someone might be looking for but i can ensure they will not find it in my papers. 3) keep your children's names off of their personal belongings. i see the monogramed names on children's backpacks and i cringe. the same goes for lunch boxes and other items as well. when we put our children's names on their property, we are broadcasting to the world their names and giving potential predators all the information they might need to get an "in" with our children. anonymity to strangers is always an advantage. 4) watch what is on and in your cars. it doesn't matter how quickly you will be in and out of a place, never store valuables or even perceived valuables where they can be seen through a car window. if there are 100 cars in a parking lot, predators will chose the car with extra loot inside. keep everything out of sight and lock your doors. this may not keep everyone away but it can deter those who are actively looking. along with watching what is in your cars, watch what you put on your cars. bumper stickers, window stickers, and magnets give away a ridiculous amount of information. little stick figures on your window tell how many children are in your car, what their approximate ages are, their hobbies, family pets. very few people would walk up to a stranger and tell them, "hey, i have three kids, two boys and a girl. the girl is the baby. we head to gymnastics a few times a week and they play soccer. if you follow me, i can show you where i live." we wouldn't do that to strangers and yet we happily put it on our cars for everyone to see. information in the hands of strangers is never a good idea. 5) get to know your neighbors. one night in our neighborhood, a car with four men came into our neighborhood in order to try to break into cars that were unlocked. fortunately for us and unfortunately for them, our neighborhood is tight (and full of nursing mothers and late night workers who are constantly keeping a watch for suspicious characters.) within minutes of the car entering the 'hood, someone posted on our neighborhood page that shady people were in the neighborhood and the police had been called. there was literally a minute to minute update of where people were and what was happening, what car was being driven and where it had stopped the police were able to arrest those involved in the robberies and the stolen property was returned to the proper people. when a small child in our neighborhood wandered off, within minutes 20 people were out looking. 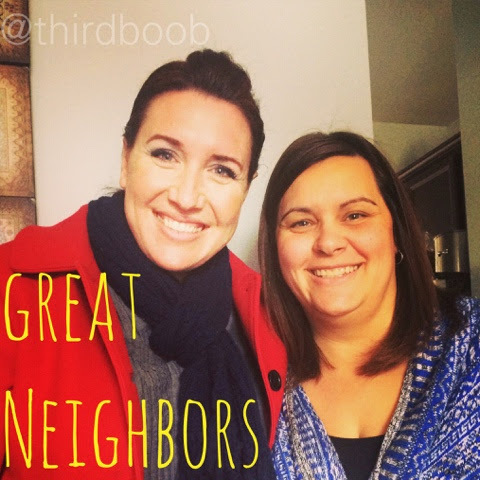 knowing your neighbors is not just a good idea if you need to borrow an egg or a cup of sugar. knowing your neighbors is a smart idea for the safety of your family. we have an army of people looking out for our kids and our home. that is always a good idea. whatever you do to increase the safety of your family this year, small steps truly matter. i don't want to be paranoid but i also don't want to miss an opportunity to protect those i love. what about you? 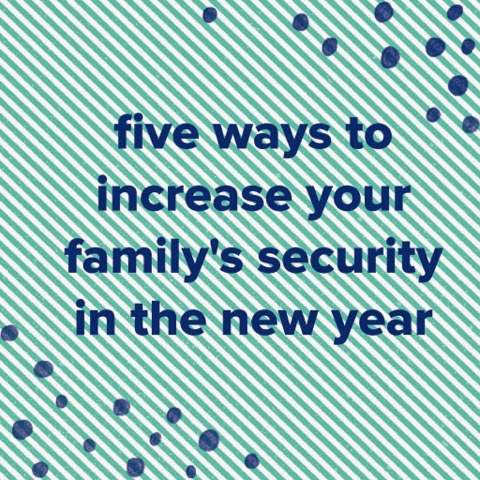 what steps are you taking this year to help increase the security of those you love the most?